The Consultants Package provides professional and business insurance to members of the PDAC and also to members of qualifying geoscience and earth sciences associations and organizations across Canada. For those consultants residing outside of Canada please contact Partners. 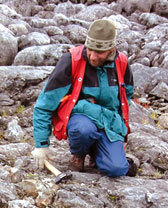 The insurance package is available to geological consultant residents in Canada and to consulting firms based in Canada. This insurance package, which is administered by Partners Indemnity Insurance Brokers Ltd., can be customized to accommodate specific professional needs. Please select the components of the package that you require and complete and submit the appropriate application forms, if you would like to pay by cheque. If you would like to complete and pay on line please select the link. For more information, contact Partners Indemnity Insurance Brokers Ltd., telephone 1 877 427 8683 (toll free); 416 366 5243 (Toronto); pdac@partnersindemnity.com. There are various liability limits offered under this insurance. There are various limits offered under this insurance ($10,000 - $100,000). There are various limits offered under this insurance. There are various insurance limits offered under the policy. There are various limits offered for this insurance.